I think it's time for another travel story from my trip to London in June. Crystal and I were on the tube on our way back to our apartment that we had rented for the first week. In London they have these free newspapers that are handed out at the end of the work day to commuters on the tube. I was casually reading through the paper when I noticed a picture of Nick Jonas in London. I read the article and found out that he was performing as Marius in Les Miserables for 3 weeks (and we'd be around to see it if we chose). I was exstatic - Crystal wouldn't let me buy tickets when we were in New York last year to see the Jonas Brothers for my birthday so this time I wasn't letting her choose, we were seeing this musical. I think we were on about day 4 or 5 by that stage and we had already decided to go see another musical (we'd already seen Billy Elliott) so we went to the cheap tkts booth to try our luck. The guy at the booth was super helpful and told us that there were no discounted tickets for Les Miserables due to a Jonas brother performing (der that was why we wanted to go) and suggested to get the best tickets we should go to the box office (which was conveniently around the corner) and pre-purchase tickets for another night. We ended up seeing Sister Act the musical that evening and once we had bought our tickets for that we headed to the box office of the theatre where we got amazing tickets for the following week. It was to be our final night in London special event. 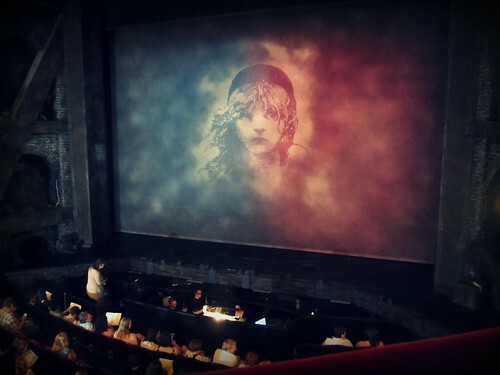 I have seen quite a few musicals in my time but I've never seen Les Miserables before. 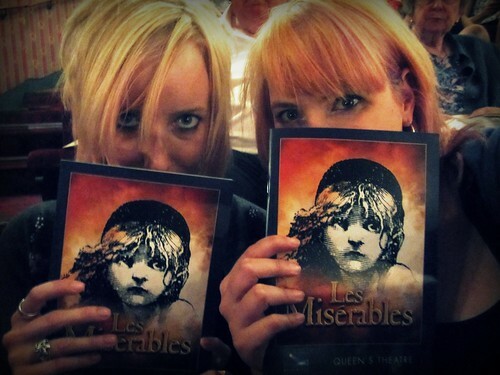 I have friends who have told me it's their favourite musical but for some reason or another I've just always missed it. I was absolutely blown away by this musical. It was powerful, emotional, rough, endearing and enchanting. I was totally wrapped up in the characters and storyline and I even shead a tear or two at the end. 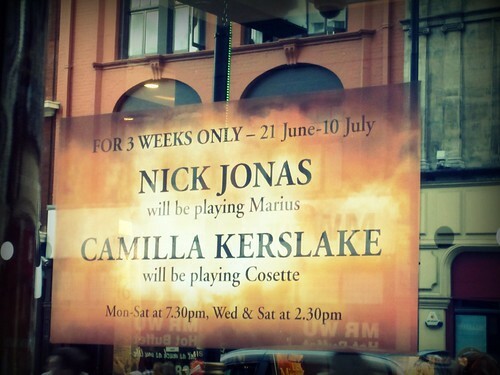 The most surprising thing for me is though most know him for his cheesey pop songs and boy band persona, Nick Jonas was simply amazing as Marius. Now I know I've never seen anyone else as this character before but I don't know if anyone else will live up to it anymore. He was sweet, vulnerable, loving and caring - and he sang so differently than what he does when he's a part of Jonas - he was a powerhouse! I don't even know what it is about these boys that I like so much - they don't play the kind of music I usually like and it's not because of their music that I like them. I watch Jonas (shhhhh), I love Disney original movies so Camp Rock 1 & 2 are naturally included in that love, but there's something about them that I still can't get enough of. I don't care what anyones says - I think these boys are sweethearts.